POSOrbis - Earn Mh Dollar($). POSOrbis is FREE Mobile, PDA, Kiosk or Web ordering Solution and Restaurant management and ordering system. Need extra cash? Without having to work too hard? Refer friends or family, and even restaurants, to earn MHungy $$$ for every referral. Just submit their contact information to MHungry.in, and you’ll see your "hard-earned" cash come through to your Posorbis account. Provide first name and last name of your friend. Be sure to include their email addresses. Posorbis will send an email to each referral. You will receive 5 reward for every referral that signs up with Posorbis. Click here to refer your friend now. Include a contact person’s name and phone number. Receive $25 for every NEW restaurant referral that signs up with Posorbis. Click here to refer your favorite restaurant now. 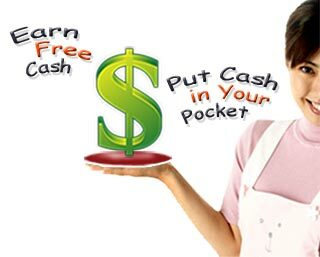 Earn unlimited cash! Start telling everyone you know about Posorbis today!